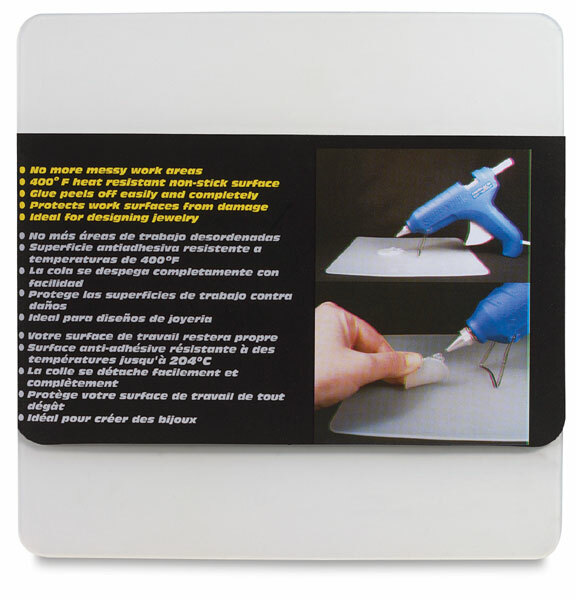 With a non-stick surface that's heat-resistant to 400°F, the Surebonder Hot Glue Gun Pad helps keep your work area neat and protected from damage. Virtually indestructible, even the nozzle of a high temperature glue gun cannot mar it. Glue peels off easily and completely when cool.